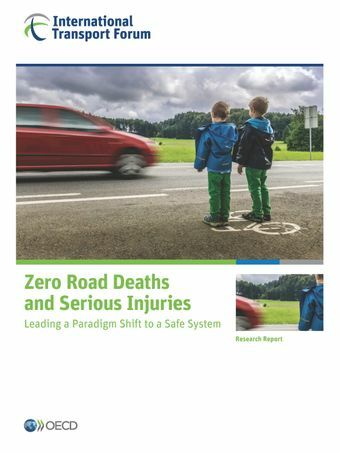 This report describes a paradigm shift in road safety policy, being led by a handful of countries, according to the principles of a Safe System. A Safe System is based on the premise that road crashes are both predictable and preventable, and that it is possible to move towards zero road deaths and serious injuries. This, however, requires a fundamental rethink of the governance and implementation of road safety policy. To stem the road death epidemic, the United Nations have set the target of halving traffic fatalities by 2020. Every year, 1.25 million people are killed in road crashes and up to 50 million are seriously injured. Road crashes kill more people than malaria or tuberculosis and are among the ten leading causes of death. Their economic cost is estimated at 2-5% of GDP in many countries. Written by a group of international road safety experts, this report provides leaders in government, administrations, business and academia with emerging best practices and the starting point to chart their own journeys towards a Safe System.